Three of our wood apple (bael) trees are laden with the fruit. Every fruit begins to gain a yellowish tinge as it begins to ripen. The ripe fruits fall and lay hidden in the tall dry grass before they are discovered. The “thump” sound of the sun ripened bael prompts reflex action and we all rush out. While we feign the excitement most of time thereby infusing greater excitement into our kids, who literally run a race, gather the woody fruit, and trudge back, handing them to us like a coveted trophy. Yesterday it was stormy and many “thumps” were heard simultaneously as violent winds tossed and turned the trees. While collecting the fruits, we noticed a tiny caterpillar feeding voraciously on curry leaves. There was another that had managed to reach a higher stage of development. Latter one resembled bird droppings to get camouflaged and thus escape enemies. How intricate and wonderful is the web of life! Heat and dryness also mars the appetite. Keeping in mind the picky dinner preference of the family during this weather, I made Focaccia with fresh coriander. The flavor was very Indian, very new and very welcome. We enjoyed it immensely with mixed vegetable soup. Dissolve sugar in warm water. Add yeast. Let stand for 15 minutes. Sift together all purpose flour, whole wheat flour and salt. From the ¼ cup olive oil, reserve 1 ½ tablespoon for drizzling on the bread. Mix the rest in the flour mix. Add chopped coriander; reserve 2 tablespoons to sprinkle on the top of the bread. Add warm water and knead for 10 minutes till the dough becomes smooth and elastic. Transfer the dough to a greased bowl. Cover and let it rise for 1 hour or till double in size. Oil one 9 inch round cake pan. Sprinkle some flour on the counter. Roll the dough into a ball. Flatten it and roll into round bread of slightly less diameter than the cake pan. Transfer the bread into the pan. Dimple the dough about a dozen times with the tip of your finger pointing straight down. Leave for 30 minutes. 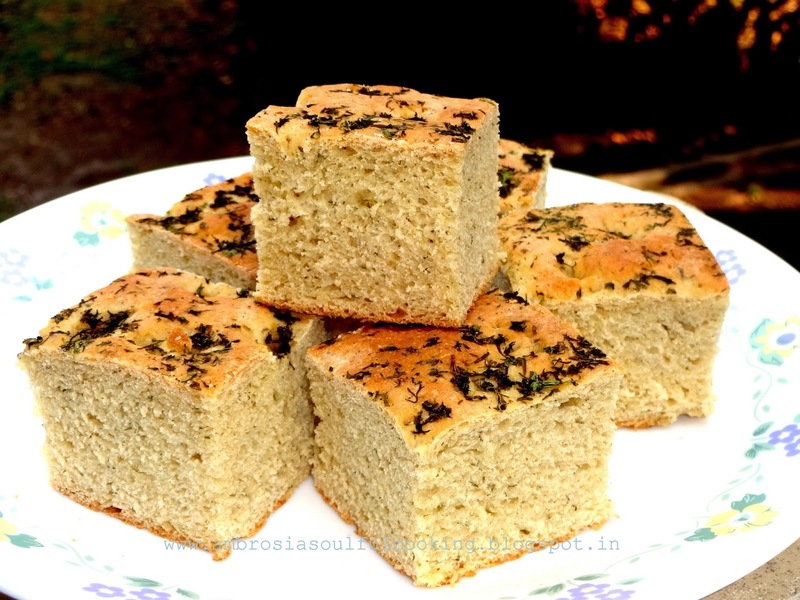 When the bread has risen well, drizzle the remaining olive oil, sprinkle the remaining coriander and salt on the bread. Bake in a pre heated oven at 190 degrees C for 25 to 30 minutes or until the top is well browned. Hello Namita! another lovely creation from your home bakery! 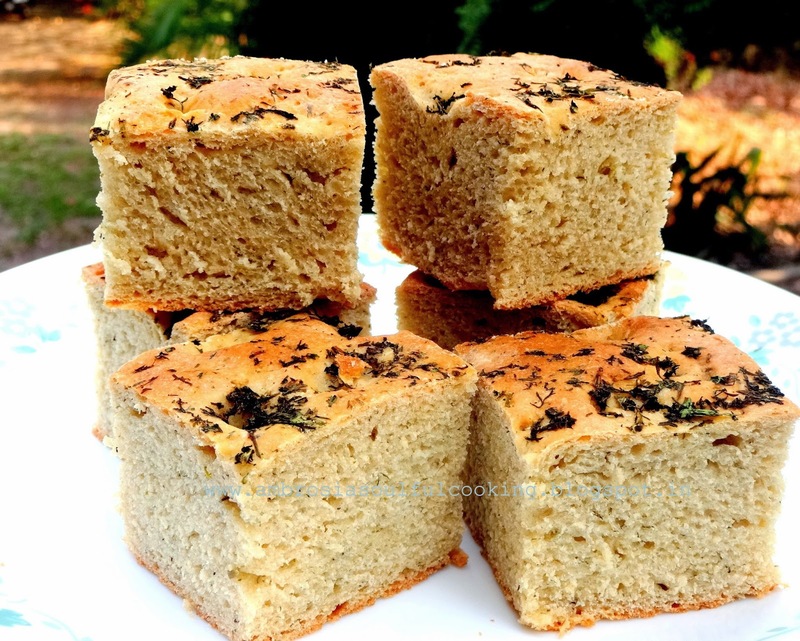 I loved the perfectly baked focaccia. Love it even more since it is made of wholewheat! Kudos to you for making everything so healthy and yet yummy! I have to tell you... two days back I was showing your blog to my colleague who is also a baking enthusiast and she was awed at your creations. I felt so proud of you! :) Way to go Namita... Keep blogging and treating is to yummy healthy beakes! Thank you Nanzy, You made my day :) ! Don't we share the common love for baking with whole wheat? Pls convey my love and a big thank you to your friend. 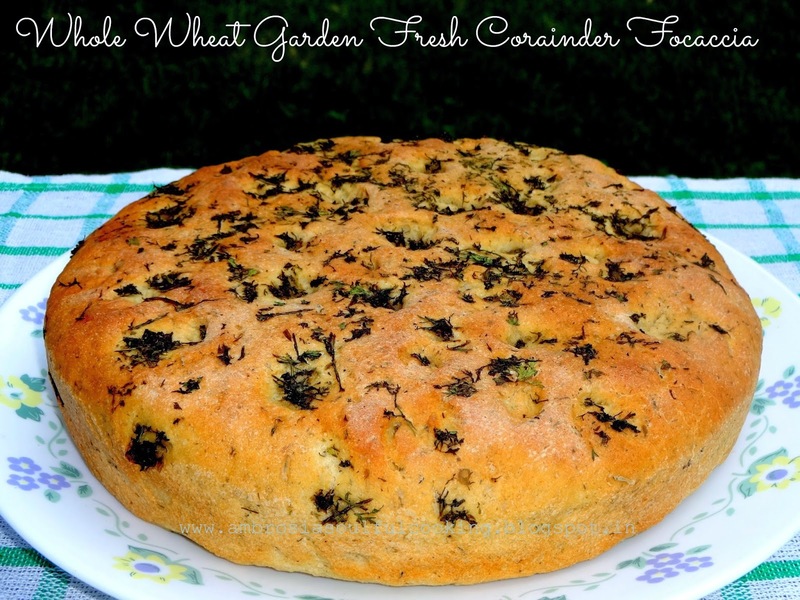 Lovely twist on focaccia :) And thanks for the pictures of wood apples and caterpillars too. What do wood apples taste like? What can you make with them? I've never had them before. Hello Sarojini, Thanks for your feedback. Wood apple is also called Stone apple and Bael (hindi). Its botanical name is Aegle Marmelos. Wood apple tree is one of the most useful medicinal plants of India. Its medicinal properties have been described in the ancient medical treatise in Sanskrit, Charaka Samhita. All the parts of the tree including stem, bark, root, leaves and fruit at all stages of maturity has medicinal virtues and has been used as traditional medicine for a long time. 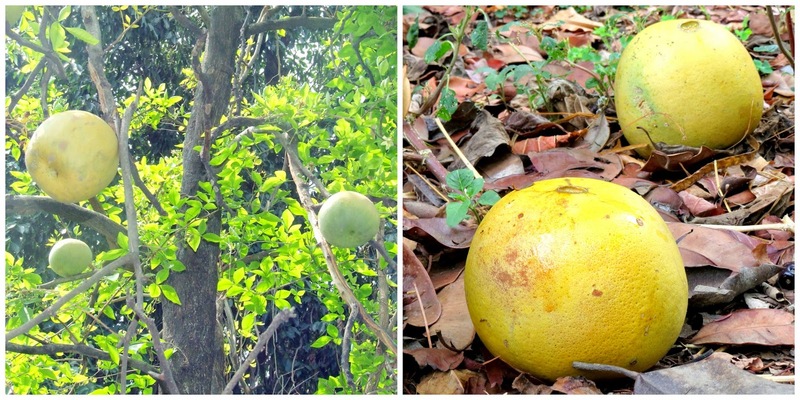 Bael fruit has immense medicinal properties. The fruit is hard and smooth. Ripe fruit has orange pulp covered with dense fibrous hair. The pulp is thick, gluey and aromatic. The seeds are resinous and hairy. The bael fruit consists of (approx) 61.5% moisture, 1.8% protein, 0.3% fat, 1.7% minerals, 2.9% fiber and 31.8% carbohydrates per 100 grams of edible portion. The mineral and vitamin content of the fruit include calcium, phosphorous, iron, carotene, riboflavin, thiamin, niacin and vitamin C.
Ripe bael fruit is regarded as the best natural laxative. It cleans and tones up the intestines. It is best had in the form of sherbet. I posted the recipe last year under the lable "Drinks"
How much instant dry yeast can be used for dis recipe? Hello,You may use 1 1 /2 teaspoon instant dry yeast. I use instant dry yeast for all my breads.